1. Books eBooks and Kindle: Click order links on books and movies featured below, for secure quick ordering from Amazon. 3. Limited collectors editions directly from me the author (Dr. Bookspan) as courtesy to readers. Personalized signing and mailing. Click e-mail link below books with author option. First tell me which books you want, how many, how to sign, and where to send. I will reply if I can send, with cost including postage. Get several books together for the same single postage (usually). I do not sell or share your e-mail or inquiries. That is not health. For books through me, pay by money order or Donate box through PayPal, secure and safe. I sign your books, wrap them up, and bike to the post office to personally mail them. You can also use the Donate link to have me mail books to charities of your choice, build a center where we can run healthy classes, keep this web site running, and develop more books and materials for YOU. "I must say I find television very educational. The minute somebody turns it on, I go and read a good book." Cover photo is unretouched snapshot of Paul when he did my training and ate my cooking. All described in the book. By Dr. Jolie Bookspan. Sports medicine researcher, military scientist, 4th degree Black Belt, 2009 Master Instructor of the Year, and undefeated full contact fighter. Inducted into the International Black Belt Hall of Fame. Innovative injury reduction techniques during all movement. Performance enhancement claims explained - drugs, products, and foods. Nutrition, recipes, make your own healthier sports food and medicines. Breathing, speed, balance and agility. Spirit, brain power, mental exercise, simple ways to a better world. Joint stability, back pain prevention, knee pain, neck pain, communicable diseases, and other pain and injury. How to make training and daily life healthy. Over 200 photographs, 228 pages. 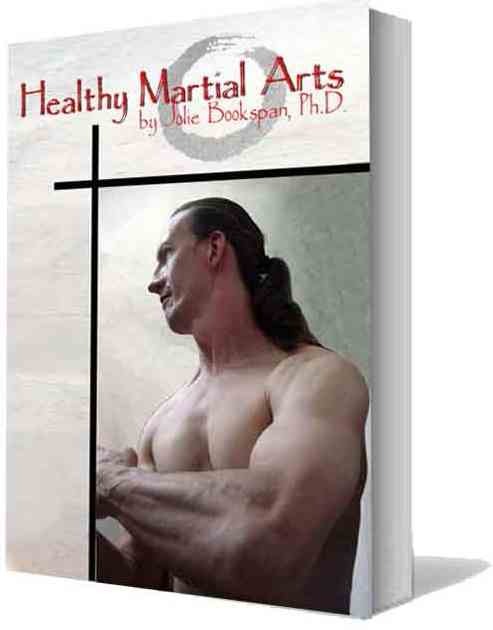 Healthy Martial Arts is my best book for exercisers and athletes. What my book "Fix Your Own Pain" does for your body, "Healthy Martial Arts" does for your mind, spirit, training, and life in addition to your joints. Sun Tzu's "The Art of War" is the classic strategy manual in business and power. "Healthy Martial Arts" is the strategy manual for your life. Print Edition from Amazon.com: Click here for Healthy Martial Arts - beautiful 8.25 x 11" print edition from Amazon.com with over 200 black and white photos. Expanded edition 2009.
eBook INSTANT DOWNLOAD with full color photographs: Click the above print link and use the options for eBooks. Signed Collectors Edition straight from the author: e-mail me to check first for availability including your address for postage determination, and how you want your edition personally signed - books@DrBookspan.com. Use the "Donate" link above of "How To Order. PayPal - $20 each plus $7 US shipping for up to 3 of any of my books, or $34.95 international for up to 2 books, or whatever they are charging currently. I bike to the post office to mail signed books directly to you. Let me know what special personalized signing you want. Second and first editions contain things changed by the editors that I do not agree with. Resellers still resell earlier editions. Make sure you have the new Third Edition with beach scene on the cover. Anyone with old editions, contact me to upgrade to new third edition. 31 chapters of step-by-step instructions on what works & what doesn't for fixing pain, smarter fitness, healthier brain, spirit, and body. Be healthier, happier, eat better, fix pain, and learn healthier movement habits. GREEN Fitness - No cost preventive medicine, daily health without buying exercise equipment or supplements, healthier medical practices and mind set. Living a healthy life becomes inexpensive, simple, self-empowering, "green," and puts the fun in functional. Health - Heart, cholesterol, diabetes, digestion, osteoporosis, body fat tests, weight loss, mental and emotional health. Exercise - Abdominal muscles (what they do and don't, and summary of The Ab Revolution), neutral spine during real life, healthy body mechanics, stretching, weights, improving balance, functional lifestyle fitness, how to get started, over-training, exercising with children and family, making daily life fun and healthful at the same time. Nutrition - Healthy eating, Vitamins and fads, health foods you can make inexpensively yourself, diets, supplements, drugs, performance enhancing food and products both good and bad, getting started, easy recipes, changing bad nutrition habits to healthy ones. Pain & Injury - Full chapters on fixing discs, neck pain, upper and lower back pain, leg cramps, and headaches. Sections on knee pain, shoulder, and ankle sprains. Funny Facts about the body. A to Z GLOSSARY, explains it all with word derivations and stories. If you only get one book, this is the one. Or as they say, "If you only read one book this year, you should read more." 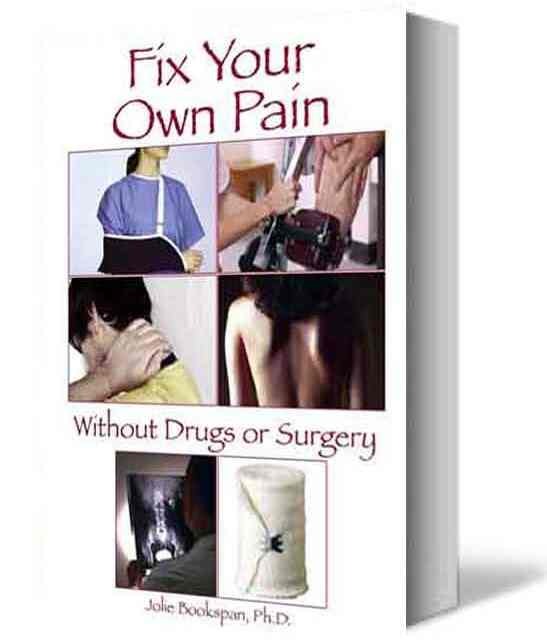 "I read this book after 'Googling' for some solution for my years of neck and shoulder pain. I am fortunate to come across this author. More than seven years of problem, several thousand dollars spent on this - no one (no doctor, no physio, no chiro, no surgeon) pinpointed the cause. I found the root cause with the help of Bookspan. The author …patiently explains the root cause of several problems and provides SIMPLE solutions. The book is worth millions! A gift to humanity!!!" 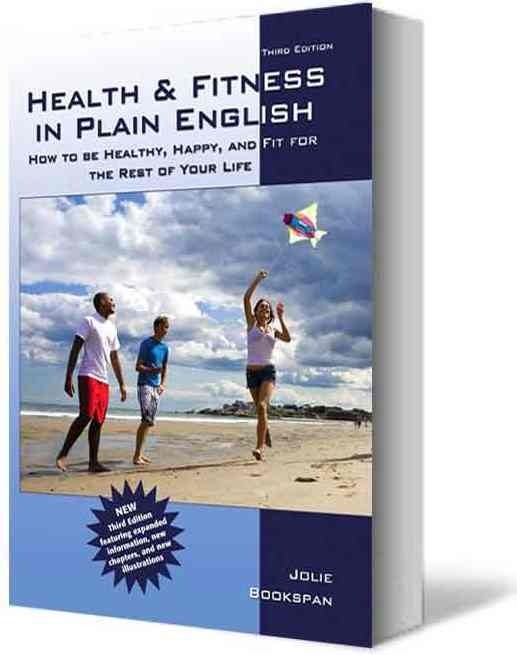 Print Third Edition and eBook instant download from Amazon.com: Click here for Health & Fitness: How to Be Healthy, Happy, and Fit for the Rest of Your Life THIRD edition from Amazon.com. Signed Third Edition Collectors Edition straight from the author: e-mail me to check first for availability and let me know how you want your edition personally signed - books@DrBookspan.com. After I reply to confirm, use the PayPal "Donate" link at the top of this page to order. Put $20 per copy, plus $7 for shipping in the US for up to 3 of my books (any 3), or $34.95 international for up to 2 books, or whatever they are charging currently. I mail personalized signed books directly to you. Upgrading to 3rd Edition from Earlier Editions. If you have an older edition, write me to exchange for a signed new THIRD edition. "Your book arrived in today's mail -- boy that was fast! The transformation you've achieved from the 1st to the 3rd edition of HaFiPE is wonderful! Thoroughly reworked text, layout and graphics -- after a quick scan though, it looks like not only more info, but in a clearer and cleaner presentation than before. I'd forgotten how far ranging and informative your glossary is! Thanks for the starter post-its on my path to truth. ;-) Back to reading and doing. With many thanks for all your work to share what you've learned. Mark"
Old 1st and 2nd have green bar. I do not recommend any older editions. New 4th edition is more organized, more specifically descriptive, with more specific photos with side by side comparisons of movement habits. Ab Revolution FOURTH Edition. Reorganized to get you started more quickly. Many new photo instructions. An innovative sports medicine technique to quickly stop one major source of lower back pain, and build healthier movement into exercise and daily activity. Part I teaches how to stop hyperlordosis, a slouch that causes of one of the most common kinds of back pain. No exercises needed, only changing this slouch. Part II shows you how to use this technique for fun healthy core and whole body exercises, stretches, and strength moves from simple to challenging, with no forward bending that hurts discs or practices bent-forward posture. Details and explanations are moved to the new Part III. Change your knowledge of exercise, posture, back health, neutral spine, and what abdominal muscles really do. This method is for the kind of pain usually felt from standing, walking, yoga and Pilates, pushups, planks and certain other exercise. I bought this book after attending a seminar with this extraordinary lady - more on that in a moment. The book is invaluable to ANYONE who wants to eliminate back-pain immediately. Most of us have been told so many times to "stand up straight, don't slouch" that we do precisely the wrong thing, over-arching which puts strain and stress on our back each and every day. With Dr. Bookspan's straightforward, no-nonsense approach, you can instantly modify your posture and the pain/ache in your lower back (from swayback) IS GONE! What is deceptive is how easy this is to accomplish and so on first read, you might not totally grasp the concept. Take your time with the book, try each modification and exercise as she clearly explains it, and give it a try. Your first goal should be to stop the pain, your second to start strengthening your abs and back by retraining your daily habits - and let me tell you, you'll thank her for it. I was fortunate enough to attend one of her seminars. That's where she really works her magic, face to face. She utilized the concepts in her book to change the way a room full of martial arts instructors and Grand Masters live their daily lives. For all of our knowledge and experience, Dr. Bookspan provided a collective epiphany to over 60 veteran martial artists, we were all shaking our heads in amazement and smiling at how good our backs felt. It's practical and it WORKS! 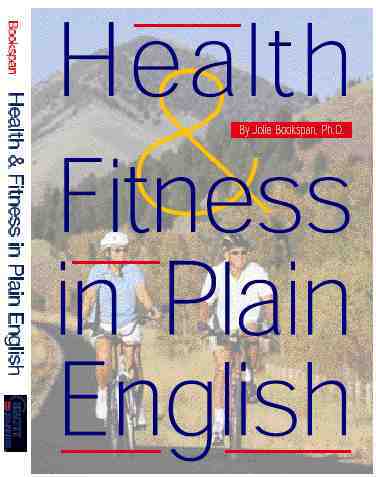 To her credit, Dr. Bookspan LIVES her healthy lifestyle philosophy. This book is not very big, nor is Dr. Bookspan - but both are filled with tremendous power and wisdom. Everyone could benefit from the Ab Revolution. Part I - Learn to stop a major kind of lower back pain from too much inward lumbar sway (swayback / hyperlordosis). Specific instructions to learn to change spine position during all you do. No exercise needed. Part II - Use the healthy spine position learned in Part I for strengthening and stretching, from simple moves to the toughest you can get. Exercises do not fix back pain - Part I is to fix this kind of pain. Part 2 is for using neutral spine to get healthy exercise and change bad ab exercises into healthy moment. Part III - Detailed anatomy, Fun questions answered, Concepts explored. Print 4th Edition - arrived November 2015. 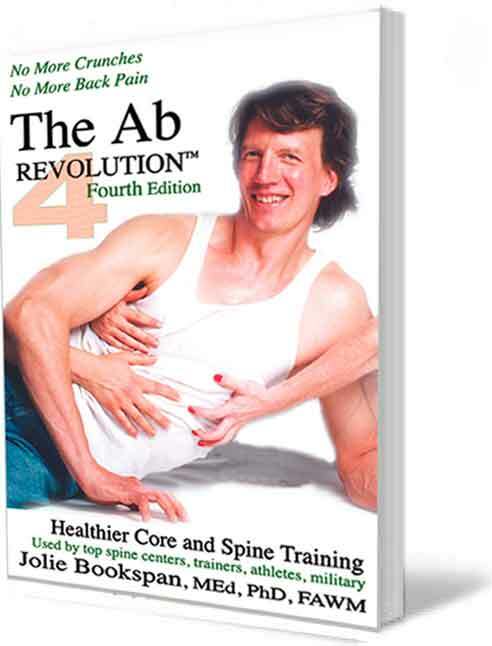 Click for The Ab Revolution Fourth Edition - No More Crunches No More Back Pain . Upgrading to 4th PRINT Edition from Earlier Editions. If you have an older edition, write me to exchange for a signed 4th PRINT handy (paperback) edition. eBook in ePub, Nook, Kindle, and other digital formats in COLOR. The publisher informed me that they completed these formats with clickable Table of Contents and flowable text. Click here for the new Kindle: The Ab Revolution Fourth Edition in Kindle. I have been told that the eBook displays photos properly, fixing the problem that previous Kindle version didn't show all, depending on your device. According to their info, this will run on a variety of devices, even if you do not own a Kindle, by using their "app." Not the same old stretches. Fun, easy to read, immediately helpful techniques to retrain daily movement habits to stretch functionally. Your daily life becomes a built-in way to increase flexibility and mobility, and stop injuries from bad stretching and movement habits. Learn innovative stretches. Learn how to apply healthy movement to daily life, better athletic performance, sitting at your desk, relaxing, and all you do. Nearly 200 humorous drawings featuring Backman!™ guide you step-by-step. 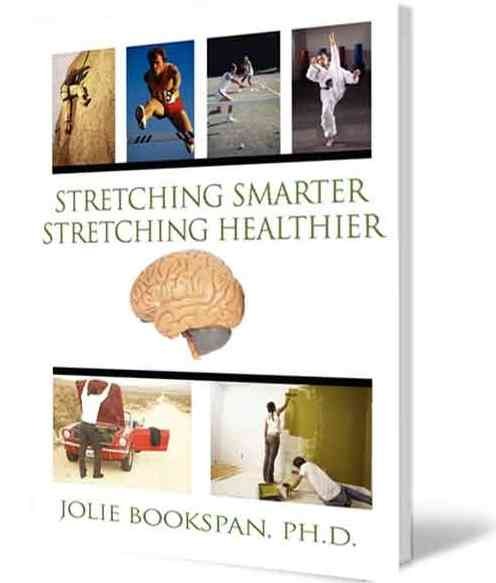 Print edition from Amazon.com: Click here to get Stretching Smarter Stretching Healthier, Print Edition 8.25" x 11" from Amazon.com. Kindle and eBook: Instant electronic download from Amazon.com for Kindle Readers - Stretching Smarter Kindle Edition. I have been told it is not necessary to own a Kindle to get this Kindle version. Amazon has a free Kindle Reader app for Windows PC or Laptop, MacBook, iMac, i-Pad, i-Phone, Android Tablet, Android Phone and others. Download your free app here: Kindle Reader App or get the instant download of the PDF (Glassbook) eBook version above from Kobo books. Signed Collectors Edition Directly from the Author: e-mail me to check first for availability, to let me know how you want your edition personally signed, with your address for postage determination - books@DrBookspan.com. After I reply if I have the copies you want, click PayPal "Donate" link above in "How To Order. $12 each, plus $7 shipping in the US for up to 3 of my books, or $34.95 international flat rate for up to 2 books. or whatever they are charging currently for heavier packages with more books. I mail personalized signed books directly to you. Upper and lower back pain, neck pain, shoulder, rotator cuff, hip, knee pain, and foot pain. Ankle sprains, Achilles tendonitis, fasciitis, pronation, supination, and flat feet. It's all here, with fun stories from real patients in each chapter that illustrate what works and when. Drawings and photos illustrate concepts. Every page, of 330 total, has specific things to do, things to avoid, things to check for, and/or a story of people who did and didn't fix pain and why. 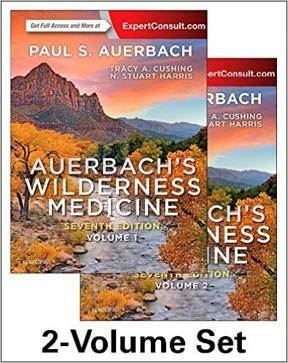 Publishers added a new cover: Same book, author, and ordering. 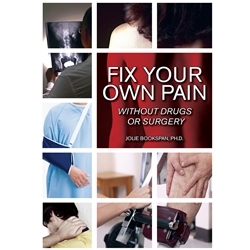 Print edition and eBook instant download from Amazon.com: Click to get Fix Your Own Pain Without Drugs or Surgery - from Amazon.com. Signed Collectors Edition straight from the author: e-mail me to check first for availability and let me know how you want your edition personally signed, and and address for postage determination - books@DrBookspan.com. After I reply if I have copies you want, click Paypal "Donate" link in "How To Order #3" at top of this page. $20 per copy plus $7 shipping in the US for up to 3 of my books, or $34.95 International flat rate for up to 2 books, or whatever they are charging currently. I mail personalized signed books directly to you. Chef Emmolo writes, "Whenever people hear the phrase “health food” or “healthy cooking” their minds immediately go to a dark and sad place…at least mine does. It seems that every time one of my friends wants to show me their culinary prowess by making something healthy, I typically smile and say thank you as I choke it down with plenty of libation. The idea of people cooking healthy has gotten so bad that whenever one of my friends offers to cook something healthy for me I decline as politely as possible. In fact, a friend of mine who is a chef turned butcher frequently offers to make me one of his “diet” dishes that is allegedly healthy and delicious. As much as I trust the man, I must always politely decline. Let’s face it, healthy food is not tasty food. Everyone knows this. Or do they? "Several years ago I embarked on a great culinary journey. One that I am still on today as a chef now located in South Florida. I frequently go out and sample the cuisines of fellow chefs and amateur cooks alike. I regularly look through cookbooks – any cookbook – to find a recipe that I can use or that provides me some inspiration to write one of my own. And yes, I do frequently look through those healthy cookbooks with all of their über-healthy recipes and such. And no, I do not usually find anything remotely usable or inspiring in those books. Even some of the most famous and notable chefs in the culinary world today fall short when it comes to cooking food that is genuinely healthy while at the same time genuinely delicious. "Several years ago I met Dr. Jolie Bookspan at the Eastern USA International Martial Arts Association Black Belt Hall of Fame weekend. At the time I was suffering from such debilitating arthritis that I was forced to end my study of the martial arts. I had, at the time, been studying martial arts for nearly twenty years. It was then that I found out why she is known as “the St. Jude of the Joints.” Thanks to my good friend Dr. Bookspan I did not have to end my martial arts practice. In fact, it is thanks to her work in sports medicine that I am able to walk, run, exercise, and enjoy a fulfilling and normal life. "Sometime after our initial meeting, and her fixing my injuries (story of that, here), I was in Philadelphia with some friends of ours and she invited us all to her home for dinner. I remember walking through the market with her and seeing some of the things she was picking out. At the time I was a young line cook at one of the top restaurants in Pittsburgh and I thought I knew a thing or two about food. I was incredibly skeptical of many of the items she bought at the market. Still, I admit, I was also a bit curious. In the time that I have known Dr. Bookspan, she has always been a straight-forward, no-hype woman. Everything I have ever seen her do has been done with precision and meticulous execution resulting in very positive results. Her approach to a healthy meal is absolutely no exception. "I can still remember that dinner. The smell of the food and the way it tasted reminded me of some of the better restaurants I had dined in in New York City. Her meals could easily rival those of some of the best chefs out there. To say that I enjoyed my dinner at her house would be an understatement. I remember that I did not stop at a second helping. The food was that good. But wait…I had forgotten that this was “health food.” More incredibly, made in a small old-fashioned kitchen with no specialty pans or tools, with ordinary simple ingredients, and little prep time. Healthy cooking is not supposed to be this good! Well, that’s what I used to think. 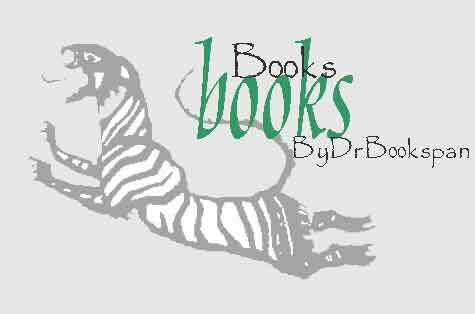 "Dr. Bookspan is one of those people who will challenge the conventional hype-driven stereotypes. And she’ll do so successfully and from a position of love and friendship. I have never forgotten the amazingly delicious, yet incredibly healthy meal she provided on my first visit to her home in Philadelphia. I have over the years tasted – never more than a taste, mind you – other healthy meals. Not a one has measured up in terms of flavor. "Over the years I have thought back to that delicious and healthy meal I had at Dr. Bookspan’s house and wished that I could recreate it and others like it. Unfortunately, I never truly had the means to do so and my busy and often chaotic lifestyle would get in the way of me collecting recipes from her. Finally, thanks to this book I now have the chance to recreate that amazing meal and more like it for family and friends. Whether you’re a professional chef like I am, or an at-home cook I am sure that you will find her recipes easy to follow and packed with flavor. I have absolutely zero doubt that Dr. Bookspan’s no-hype, straight-forward approach will have you cooking delicious yet healthy meals that will have your friends and family raving." ~Chef Christopher Michael Emmolo is a member of the American Culinary Federation and is an ACF Certified Culinarian. After earning a Bachelor of Science degree at Point Park College, he earned his degree in the Le Courdon Bleu in Culinary Arts from The Pennsylvania Culinary Institute. Since earning this prestigious degree, Chef Christopher Michael has honed his culinary skills in such places as The Four Seasons Resort, Palm Beach, and some of the finest country clubs in south Florida. For waiting list and notification when this book comes out. Follow Me on Twitter. Tweet that you want to be on the list for the book. "As a family medicine physician who spent a full three-decade career with the United States Public Health Service, continues to be involved with humanitarian outreach in areas of need throughout the world, and ponders the "health care" debate, I count it an unearned privilege to have met and collaborated with Dr. Jolie Bookspan. "Dr. Bookspan continues to amaze me with her depth and breath of interests and knowledge. She has consistently sought ways to improve the health of individuals with a variety of problems. That she has now shared about healthy food is very good news! "All due respect to the American Medical Association, no amount of money spent on medicine as practiced in the United States can possibly compensate for the unhealthy diet, inactivity, and passive expectation by so many citizens. With her long and successful experience with healthy moving, I am very eager to obtain and read her new book. I am confident I will be recommending it along with her other books and web site to any person serious about being responsible for healthy living." 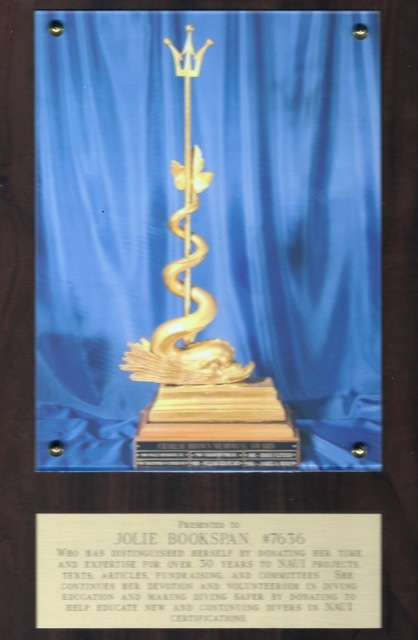 The National Association of Underwater Instructors (NAUI) recognized Dr. Bookspan with the 2014 Dr. Brown Memorial Award for dedication to research and education in underwater medicine, hyperbarics, SCUBA training, and injury. Dr. Charles Brown was called “America’s Diving Doctor.” According to NAUI, "The Dr. Brown Award recognition is given to the very few whose service to diving is largely out of the limelight. It is a unique award in diving." The Lung at Depth (Lung Biology in Health and Disease) - Reviewed by Respiratory Care saying, "The expertise of the contributors cannot be questioned." The scuba divers cult classic. New 6th printing blue cover, revised. 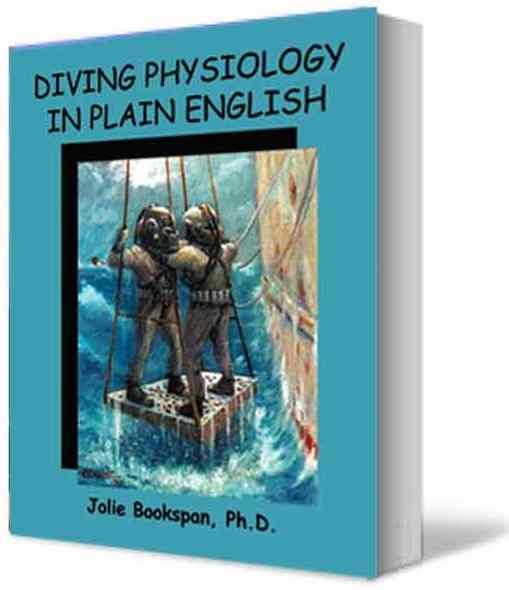 Get this hard-to-find edition by research physiologist Dr. Jolie Bookspan, former scientist for the US Navy, Inducted into the NAUI scuba instructor association Hall of Honor. "This book has helped us train three (3) generations of SOF divers"
Clear information to understand (not memorize) physiology and medicine, and apply to safer decompression, thermal, equipment, gas mixing, fitness to dive, nutrition, rescue, injuries, and to demystify the many claims and counterclaims in diving. For all divers, beginner through instructor, search and rescue teams, training departments, health care providers, and family of divers. Complex topics translated into understanding. Fun stories and illustrated glossary. Your questions answered, easy to read, and the real stuff. 5th printing (green) is OLD VERSION. Make sure yours is the NEW BLUE. 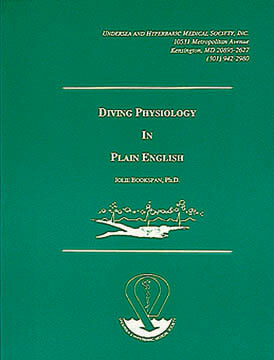 From Amazon: Diving Physiology In Plain English from Amazon.com. Some resellers still sell old green cover discontinued book (not signed or personalized by me). Make sure to get the new 6th revised printing with blue cover. You can get a blue cover edition through Amazon from me so search the resellers for me, or use direct option below for better price. Collectors signed edition straight from the author (better price): Signed 6th printing blue cover edition: To order, tell me how many books you want, how you want your collectors edition(s) personally signed, and address for postage determination. I reply with availability and cost including postage - books@DrBookspan.com. Then pay through the "Donate" button at the top of this page showing "How To Order." $40 each copy plus $5 shipping to a U.S. address, or $34.95 international postage, or whatever they are charging currently. I mail personalized signed books directly to you. 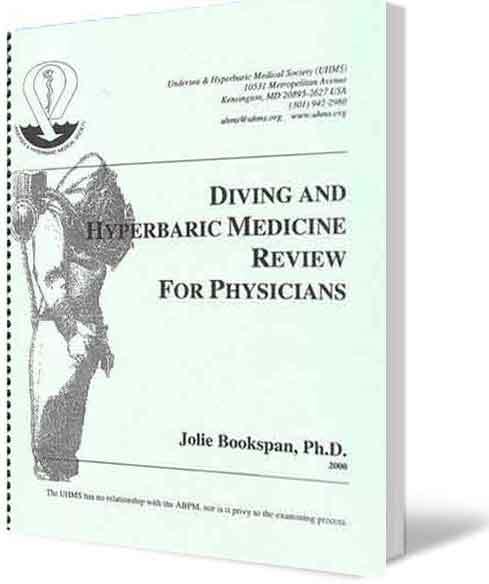 Diving and Hyperbaric Medicine Review For Physicians - BOARD EXAM Guide. by US Navy diving and hyperbaric research physiologist Jolie Bookspan. MEd, PhD, FAWM. 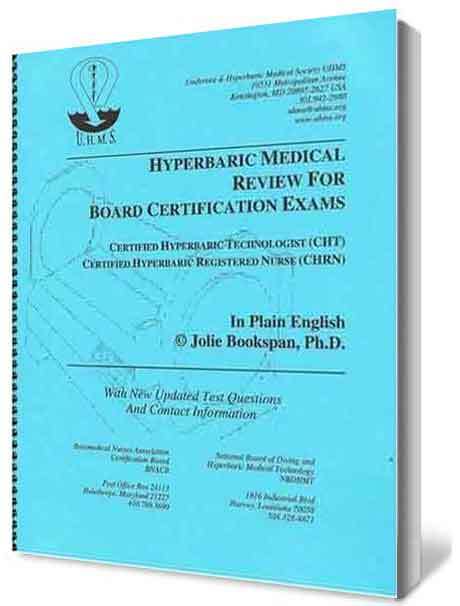 Extensive compendium of information physicians need to work in hyperbaric medicine and take the board exam. Organized, interesting, and a complete reference of the entire field for anyone physician or non, interested in the field. Includes diving medicine, physiology, diving and hyperbaric history, practice, physics, and clinical hyperbaric treatment of diving and non-diving conditions. It is also a complete review and study guide for the board exam including sample test questions with answers, step-by-step calculations, and explanations. Expanded and updated with many new topics including all 13 approved indications for clinical hyperbaric oxygen treatment complete with protocols, equipment, codes, fire safety, and regulations. "Fantastic review! Concise, complete, well organized. The perfect tool to ace the Board Exam." - Laurie Beth Gesell, MD, University of Cincinnati College of Medicine. "The essential starting block from which you should direct your preparation for the Undersea and Hyperbaric Medicine subspecialty board examination." - CDR Jim Caruso, MD, FCAP, US Navy Diving Medical Officer. "Very useful and informative material for personnel staffing active hospital based hyperbaric medicine units." - Keith van Meter, MD, Clinical Professor of Medicine. "Hello, Dr. Bookspan, I really appreciate your work. It extensively covers multiple scientific areas, including acoustics, speech sciences, physics, clinical medicine, natural therapy, and martial art; astonishing broad knowledge. Not every Ph.D. or M.D. knows that much. Looking forward to see your next work." - Best regards,Yun Gong. The scientific society that published this book (and my Diving Physiology book, above, and Chamber Technician and Nurse book, below) ended all their publications. I am working to make these available through another publisher. Apologies that this book, which I hoped to finish, even if only in electronic format, was delayed. I worked extra for my Academy students during the previous year, and could not do the work needed to release the book. I will continue work and hope for 2017. Please contact me. by Jolie Bookspan. MEd, PhD, FAWM. Chock-filled, fun to read compendium of diving nursing and chamber technology, physiology, physics, clinical practice, and hyperbaric treatment of diving and non-diving conditions. "Easy to read, easy to get through and understand, and a must for being successful at certification." "Extremely valuable study material, in a format that is easy to understand." The Undersea and Hyperbaric Medical Society stopped publishing most of their books. I am looking for a new publisher. Scientific evidence for approved indications by leading experts in the field, for scientists, practitioners of hyperbaric oxygen therapy, and their patients. Order from me (better price): e-mail me to check first for availability and let me know how you want your edition personally signed - books@DrBookspan.com. Pay through "Donate" box at top of page to pay. Add other books of mine for no additional postage. I mail signed books directly to you. Keep scrolling down for Forensics, WIlderness, my Favorites, lots more. Use links directly from this page to get these items or anything else and Amazon sends this site some pennies. “We are a participant in the Amazon Services LLC Associates Program, designed to provide a means for us to earn fees by linking to Amazon.com and affiliated sites.” I am never sent your info. Downloads, movies, gift cards, clothing, music, health and massage stuff, mobile phones, electronics, toys, magazine subscriptions, garden supplies - your next lawnmower or shed, healthy food - anything you like. 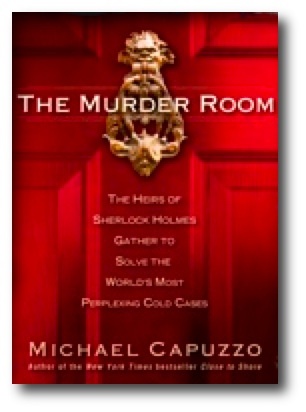 The Murder Room: The Heirs of Sherlock Holmes Gather to Solve the World's Most Perplexing Cold Cases brings to you top cases and our founders (and my friends), talented courageous Frank Bender, Commissioner Bill Fleisher, and the Sherlock Holmes of deviance Richard Walter. Also available on Kindle Edition and Audio Version - The Murder Room. Note that Frank Bender and his family were not portrayed as they honestly were. Added lurid drama, but a disservice to all of them and his quality nature. 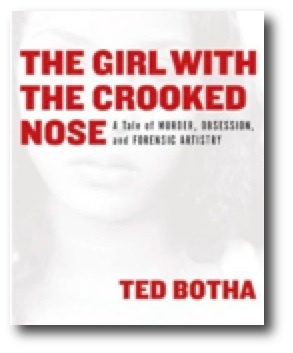 The Girl with the Crooked Nose: A Tale of Murder, Obsession, and Forensic Artistry tells of my dear colleague Frank Bender's facial reconstruction of murder victims, leading to needed resolution and attention to neglected murders, including hundreds of women tortured to death near Ciudad Juarez. Frank and his daughter Vanessa have assisted the Ni Una Mas project (Not One More). 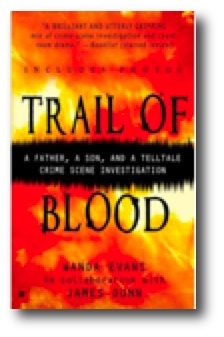 In Trail of Blood , The Vidocq Society helps solve the murder of 24 year old Scott Dunn. Scott's parents never gave up when his killers left no body, no weapon, only blood, so much blood. 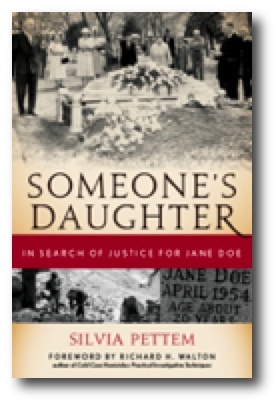 Someone's Daughter: In Search of Justice for Jane Doe A young woman was found murdered with no one knowing who she was for more than 50 years. Twists and turns and how the Vidocq helped writer Sylvia Pettam find the woman's name and killer. My Vidocq friends and colleagues selflessly volunteered resources and time - including Frank Bender doing facial reconstruction, and Dr. Terry Melton, the DNA. 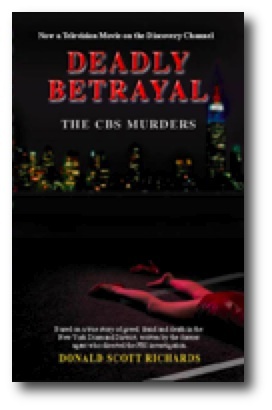 Deadly Betrayal The CBS Murders is based on an actual major, high-profile investigation, told from the inside by my cool colleague FBI man Don RIchards. 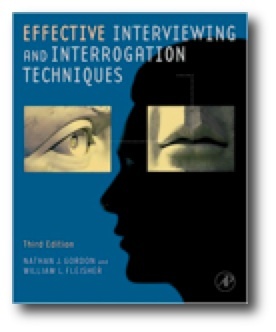 Effective Interviewing and Interrogation Techniques, Third Edition The NEW third edition by Vidocq commissioner Bill Fleisher and lie detection expert Nate Gordon - The Truth Doctor. 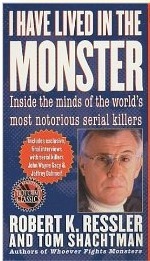 I Have Lived in the Monster: Inside the Minds of the World's Most Notorious Serial Killers by Robert K. Ressler and Tom Shachtman. See all really creepy books by Robert Ressler. We have several more - Click any of the above and find more creepy books and movies. You can still get the Expert Consult Premium 6th Edition. Enhanced Online Features and Print, also available in Kindle. Running on the Sun Sure, I'm proud, that's my youngest brother. He does the DOUBLE Badwater, starting on Mt. Whitney (Paiute Indian name, Too-man-go-yah), running 130 miles back to the starting line, plays the national anthem on his trumpet (really well), then begins the 130 mile race with the other ultramarathoners in the heat of July through Death Valley. 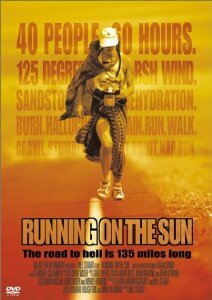 One of many memorable scenes of this movie is runners passing a support vehicle on fire from the heat. Jackie Chan's autobiography - In his own words, the hard and ascetic training throughout his youth that made him a top martial artist, stunt man, acrobat, humble actor, and ambassador. Click to get I Am Jackie Chan: My Life in Action . Watch the results of top real training and special heart in any Jackie Chan Movies. 1493. By Charles C. Mann. Writing so engrossing, and knowledge pouring out of every page so much and so fast that as I was reading this I kept thinking how I can't wait to read it again. Everything about world politics, economy, disease, climate change, refugees, war, slavery, agriculture, currency value, what makes and keeps social classes and injustice, power shifts, that you think is new or unique to one culture, is here, shown happening over eons, each shaping the other all over the world, as the Americas were first capitalized on by the rest of the world. So many things to say about all this desperately needed knowledge. This description doesn't do it any justice. Drop all and read this book - 1493. GANDHI - Humbling. Inspiring. Enlightening. Multiple Oscar Winner. Spectacular honor and reason applied to politics. Everyone needs to see and learn from this one. Gandhi (Collector's Edition) . Young Indiana Jones - A literally epic work, of sleeping genius. Action, art, well-researched origins of the most pivotal events, concepts, and figures shaping the countries, economics, and mind sets from the early 20th century to today. The originally made-for-TV episodes astutely reorganized for DVD into a three volume chronology of Indiana Jones traveling from childhood to young adulthood meeting Hemingway, Ho Chi Minh, Eliot Ness, Edison, Freud, Roosevelt, Louis Armstrong, Picasso, Churchill, Krishnamurti, Tolstoy, Puccini, Yates, Pancho Villa, more. Filmed on location in 35 countries, top actors portraying well-developed engaging historical characters in context. For an illuminating experience, before each episode, watch the insightful companion documentary of the history and people (of the 95 included documentaries), then stand in awe of the stories that weave it all, in guise of an action adventure feature movie. The rabble panned it because they might learn history and world view? In Volume 3 "Indy" learns from no less a character than the historian Toynbee at the Paris Peace Conference of 1919 about history repeated by those who fail to remember (or know it in the first place). This is history ahead of its time. Click to get any or all three volumes of The Adventures of Young Indiana Jones. The Animated Tales of Shakespeare - Triple Emmy Award winning animated shorts of Shakespeare's popular works. Exceptional Russian animators create fabulous art that inspires and delights children and adults. Each is short, yet complete, voiced by Shakespearean actors. Incredible animation, each tale different, including stop-motion puppetry, cel animation, oil paint on cel, paint on glass, more, in finest Russian fairy tale color. This link should take you to see the various individual plays and DVD sets of The Animated Tales of Shakespeare . The Man From UNCLE - Fun physical skills and great storytelling in this 1960s TV series. Utopian and Eutopian (to me) agency of confident fun role models, disciplined and well trained, cooperative team work, fun science, women portrayed as smart strong and in charge of themselves, a worthy #1 boss with class. Campy at moments that's part of the charm, elevated through talented real acting and real athletics not special effects. Plus glimpses of many well-knowns when so young. Really fun big-time MGM sets, iconic machinery of the 1960s, pioneering cinematography. Illya Kuryakin (played by David McCallum) had PhDs and black belts and chess rankings; marksman, archer, pilot, polymath, proficient in many languages and musical instruments. When I was a kid I wanted to BE Illya Kuryakin. Still working to be. (Soon after, the original Mission Impossible TV show continued his character's ideals in Greg Morris' character Barney - the smart calm brave able inventive agile engineer, pilot and technical team player, along with the rest of the cast/role models to us for cooperation and ethics under duress.) Meanwhile the real Robert Vaughn, who was The Man From UNCLE's Napoleon Solo, studied between rehearsals for his real Masters and PhD, and bravely worked for political responsibility. Click to get The Man from U.N.C.L.E. : The Complete Series . Colditz - David McCallum and accomplished cast in a brilliant BBC series. Based on true escapes and attempts of WWII prisoners of war from renowned Colditz castle in Nazi occupied Germany. Phenomenal theater, writing, staging, lighting. Extraordinary physical mental intellectual chess. Ingenuity. Steely discipline. Two-year weekly series from capture, years of detention, to liberation by the Allies. Check your region for compatibility with formats of Colditz. Time Tunnel - Scientists (!) caught in a secret government experiment, travel to top historic battles, tragedies, & world upheavals, from the Titanic to Krakatowa to Pearl Harbor to Marco Polo and the American Civil War in historical context. Also meet Robin Hood, Merlin, Space Men, and Dinosaurs in best 1960s style. Friendship, bravery, intelligence, athletic martial arts in every episode, Tony and Doug are the fighting scientists. Lee Merriweather is a lab-coated competent high level scientist (remember this is the early 1960s). The original TV show in separate volumes. Click to get The Time Tunnel. The Gods Must Be Crazy - Should have had an Academy Award. The insanity of "civilization" seen from the intelligent innocence of a Bushman, in physical comedy form. Click to get The Gods Must Be Crazy Series (The Gods Must Be Crazy / The Gods Must Be Crazy II) . Kung Fu - Full set from the original TV show. Learn the Zen lessons applied to real life. Set in the American old West and Imperial China. Lots to learn from this - martial art mind-set and background, mental training, bravery and compassion in the face of the many bigotries and difficulties explored in the continuing stories. Click to get Kung Fu: The Complete Series Collection . Mr. Bean, Johnny English, and all the phenomenal physical comedy of Rowan Atkinson. I have stood in train stations in rural Asia and in modern malls watching clips of Mr. Bean wordlessly delighting farmers, families, elite businessmen alike with his universal comic humanity. 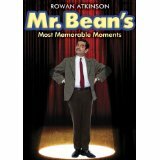 Click for The Glorious Talent of Rowan Atkinson. Star Trek. The original Star Trek - Exemplar of real theater, real acting, and universal issues in metaphor. The Hero of a Thousand Faces, all the more evident from simple sets and lack of fake effects. I wasn't a "Trekie" watching this as a kid, but I grew up learning possibilities of bravery, intelligence, cooperation, logic, silly logic, inconsistent logic, humor, physicality, fearless selfless duty. I learned rank without one-upmanship. I saw discovery and benefit without greed. (I became "The Spock of Vidocq" - the science officer of the Vidocq world forensic society.) Watch and Learn. Or watch and feel Deep Satisfaction at how well it's done. Each Original Star Trek crew member was a fully developed self. Next Generation continued holding the baton high, with the different tack of most members operating from one personality aspect, and only Captain Piccard a masterful adult composite. (Then I went to see Shatner's World, William Shatner's stellar one-man show, and realized, while I was Spock and had truth, that the truth is, to be HAPPY with the truth, Be Kirk and Shatner. William Shatner's personal account books are warm, intelligent, engaging, and insightful fun. Make sure to enjoy his range of abiilties and topics even more needed and current today in BOSTON LEGAL.) Click to transport to a higher plane and get Star Trek and More Star Trek. Galaxy Quest. Homage and spoof together - Galaxy Quest - called funniest sci-fi comedy film of all time. Click here to take a look. 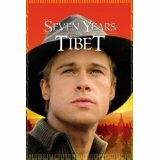 Seven Years in Tibet. "Important" may be the first recommendation for this sweeping respectful beautiful moving sincere powerful illuminating true story. Extraordinary depth from all the actors. I was transfixed watching the movie on a tiny borrowed TV after reading the book Sieben Jahre in Tibet Mein Leben am Hofe des Dalai Lama. The many well done reviews tell more of the plot. Click for Seven Years in Tibet . The Cuckoo's Egg. Best page-turning true thriller ever. 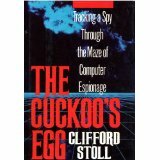 Computer hacking from Berkeley to Berlin to FBI to KGB, you'll race to see what's next. Click to take a look. Wallace and Grommit and Shaun the Sheep. Crackling good talent and fun. Miles above claymation. Creator Aardman also gives proceeds to support children's causes. Click and be happier for knowing Wallace and Grommit and Shaun The Sheep, particularly the movie. Garrison Keillor. No pile of Pulitzers, Nobel Literature Prizes, and Neustadts can thank him enough. Garrison Keillor. Bobby McFerrin. I saw him at a summer outdoor concert hall so many years ago. Large crowd from every background, united by his rich voice. Of many moments that made the dark evening glisten, he sang the entire Bach accompaniment for an audience member who got the opportunity of a lifetime to add her sweet melody for the Ave Maria. 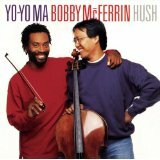 Don't miss his album HUSH with cellist YoYo Ma. He said it best - Don't Worry Be Happy, enjoy Bobby McFerrin . Ed Norton. Mastery. I watched an interview of him as he showed using body mechanics to convey searing differences in character. The Illusionist, Fight Club, Hulk, choose Your Favorite Ed Norton . Alice in Wonderland. The most glorious reciting of "twas Brillig" by Johnny Depp as The Hatter. Alice, at 19 years old, is a role model for all seeking to be adults in a crazy world. Alan Rickman, always convincing, is the blue Caterpillar guide of Absalom. Movie effects draw you in. For everyone who has lost their "muchness" and wants it back. Click for Alice in Wonderland in blue ray, DVD, Instant video, and a list of cool options. What If? : Serious Scientific Answers to Absurd Hypothetical Questions. I normally don't want hypotheticals, only real skills and information to make informed decisions. This one teaches you the real science to do that every funny step of the way. If you only think that the proposed experiments are absurd, you're missing the pile of interdisciplinary knowedge skills, given well and enjoyably, that you can use for everyday understanding of how the world works as well as career work in maths, physics, reasoning, aerospace, physiology. What If? 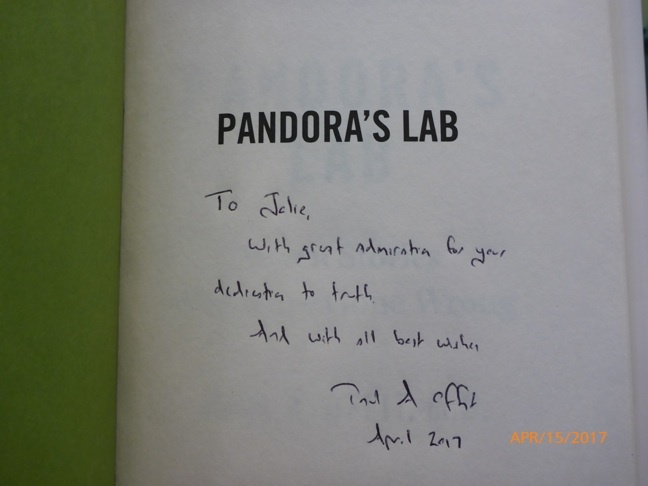 Pandora's Lab: Seven Stories of Science Gone Wrong. Check this good read of science misused. Engaging and rich with connected interesting helpful information. Important book by Dr. Paul A. Offit, who earned the 2018 Sabin Gold Medal Award. Angelina Jolie. Laser capability that would have taken Tomb Raider to annual sequels regardless of the bad writers, with added treat to Tomb Raider of Red Dwarf's Chris Barrie. Obviously right to turn down offers of mere "Bond Girl" saying she would BE Bond and did it with Salt. If mortals could have handled it, would have been another franchise. Moves mountains bringing world health issues to light and action, through not only Changeling, Mighty Heart, Land of Blood and Honey, but direct behind the scenes action. Angelina Jolie . Robert Downey Jr. A brave man: The Soloist, Tropic Thunder, Sherlock Holmes, Chaplin. Click for all the raw polished ability of Robert Downey Jr.
Dolph Lundgren. His acting saves any movie he is in. Excellent movement skills, intelligent, watchable, lots more good things to say. A real black belt with a real chem engineering degree from MIT. 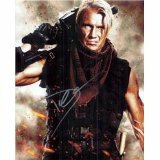 Anything Dolph Lundgren. Rawhide. Learn how to man-up. Not an old Western. A well-done model of dealing with constant extreme adversity with Brains, Bravery, Brawn, and occasional Blammo. You may never complain about your little troubles again. See a fledgling Clint Eastwood (who they introduce prophetically as "green as they come, but he's got the makins") learn under Eric Fleming starring as the bravest Gil Favor Trail Boss, courage and honor of Pete, Trail Scout (the wonderful Sheb Wooley), and the honest Quince. Learn actual American events of Fence Wars, Sheep Wars, anthrax devastations, Dipping Wars, and "frontier justice" of convictions without proof. Skillful depiction of historical wrongs and bigotry against non-whites, and genocide against Native Peoples. (In contrast, you need to ignore that the writers had no idea that women were people, or, you can watch how women were increasingly depicted as spineless in the late 1950s and 1960s when this was written (building to incredulity in media through the 80s), compared to many fun bold self-reliant women in films of the 20s through WWII.) Don't miss first season or second season of Rawhide. The Monuments Men A story that needs telling - the wrong to humanity by deliberately destroying their art. In World War II, Nazis were stealing, hoarding, and destroying thousands of years of fine art treasures of countries they invaded, and private collections of people they imprisoned and murdered. A small international force of men and women, The Monuments Men, risked their lives in war areas to track the mass theft and recapture hundreds of thousands of items. The book's immense detail represents enormous work. More skill to encapsulate a heavy subject in an action film with a light touch that humbles, moves, inspires, and if you're paying attention, rewards with reference gems throughout to other key events. The movie should be required viewing. Deft handling of unknown issue (that is today again right in front of our faces as history repeats in daily deliberate destruction of temples, languages, customs, and art in TIbet, the Middle East, indigenous peoples of the Americas, Australasia, and too many others). The film didn't get high reviews because it wasn't a "shoot-em-up," likewise the book for its detail. How much fake drama do you need to add to the real peril, daring, effort, acumen, and sacrifice already in this movie? You will be better for being acquainted with "Allied Heros, Nazi Thieves, and the Greatest Treasure Hunt in History - The Monuments Men ." Amazing Grace DVD movie. Everyone needs to know this true story of one man risking much, battling Parliament to end the British slave trade. Learn what is key motivating factor in real social change. Pivotal events and actual characters including the slave ship captain, sickened by his deeds, who became the minister who wrote the hymn Amazing Grace. The Best Man. If you think any current U.S. election issue is new, watch & enjoy The Best Man, well-written 1964 Henry Fonda movie. Giant Microbes! - Now you can have two brain cells to rub together. I love the sound of brain cells rubbing together. Or get fat cells if you prefer. Cold germs, MRSA, why not? These are plush toys, instructionally shaped pretty much like the actual cell, but large enough to play with. You can have an actual Bookworm, raise transmission awareness by giving Chickenpox, e Coli, and Bed Bugs as gifts. Give an office-mate the (plush toy) flu. Be Patient Zero Index Case at your workplace or school to track origins, crucial for containing real outbreaks. Funny toys and potential high epidemiology teaching value. Available in boxed gift sets too. Click to see Amazon.com' s safe GIANT FUNNY MICROBE TOYS .